Expand your training capabilities and keep your students’ skills sharp. 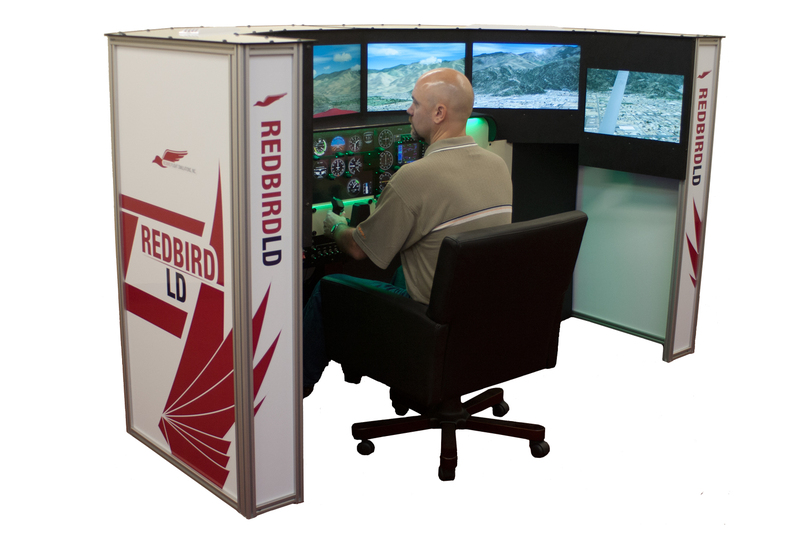 The versatile Redbird LD is the perfect solution for flight schools and individual pilots that need the power of a Redbird simulator in their home or office. 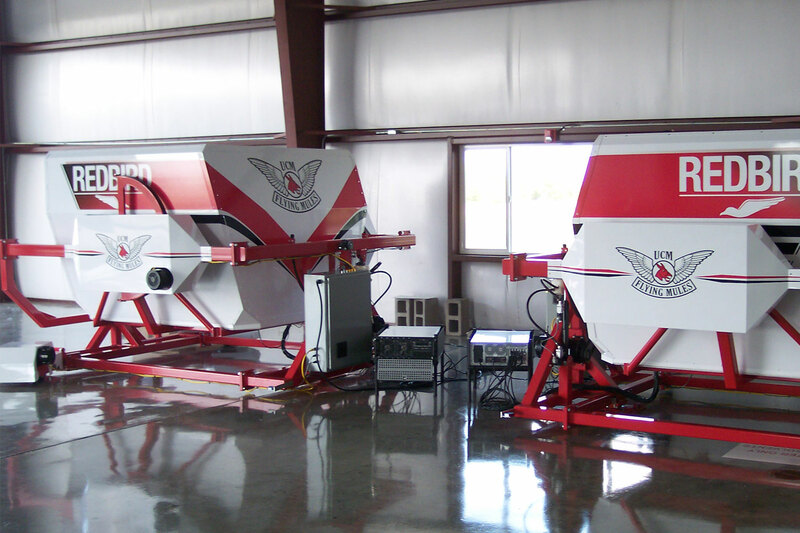 Like the FMX and SD, the LD is FAA certified as an Advanced Aviation Training Device and comes equipped with all of the standard features of a Redbird SD, but without a cockpit enclosure and pilot seats. 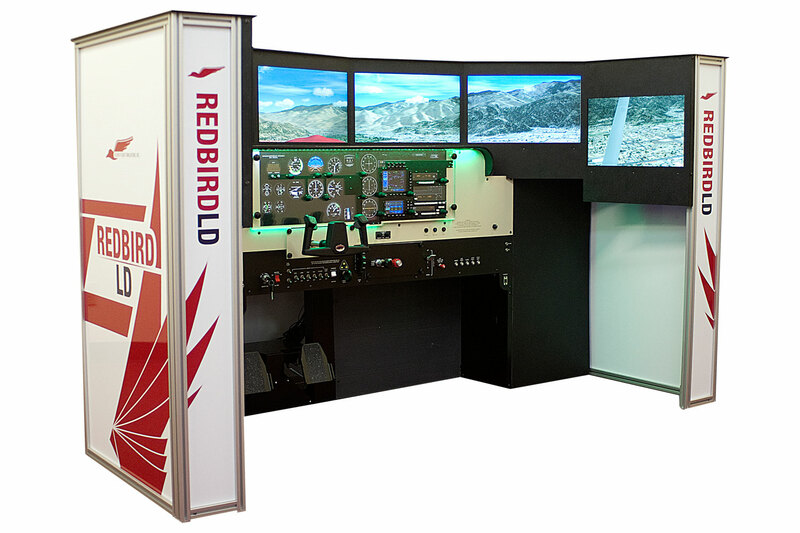 The Redbird LD is an ideal choice for flight schools and home users that don’t have the available space for an SD or FMX but still need wrap-around visuals, realistic flight controls, and interchangeable cockpits. 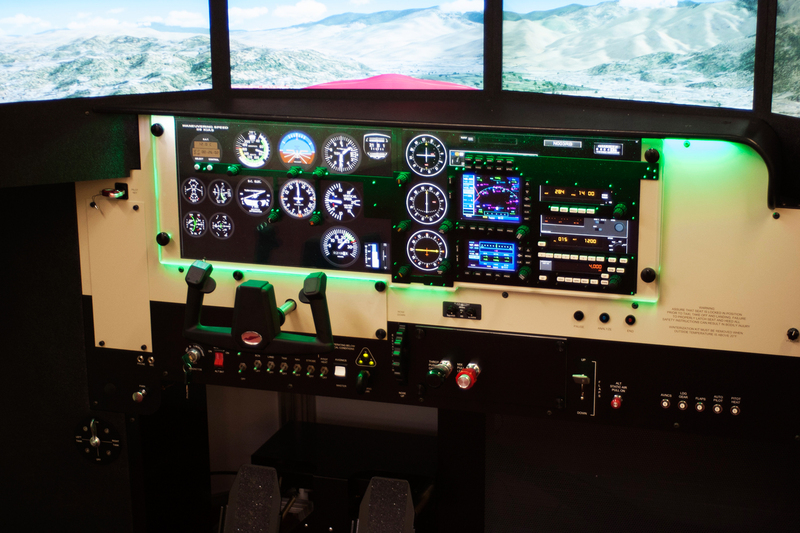 Besides being a great choice for flight schools, it’s a fantastic addition for the individual pilot dedicated to maintaining instrument currency and keeping skills sharp when they can’t be flying the real thing. 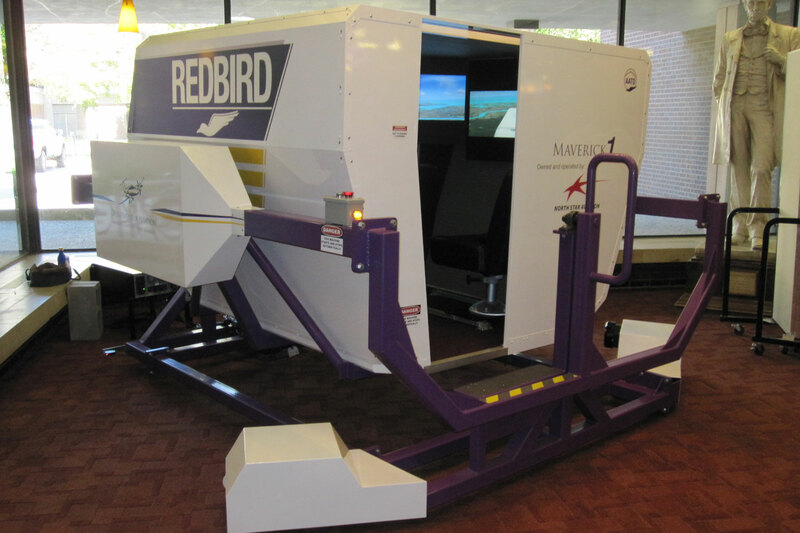 In the past, simulators have been used almost exclusively for instrument instruction and a single screen was all you needed to show the runway when the student broke out at minimums. But why limit your customers' training and your profit if you don’t have to? 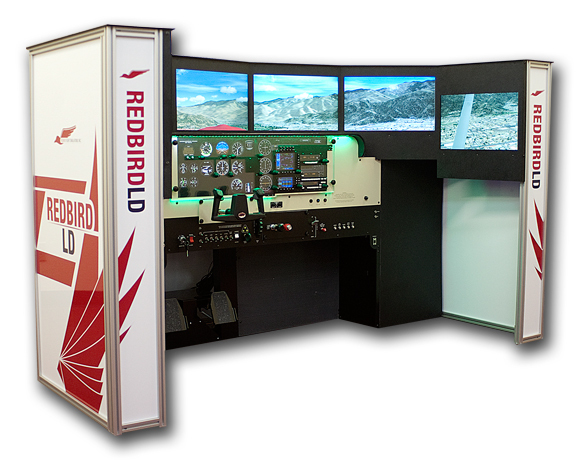 The Redbird LD is a great primary training platform, thanks in large part to its expansive visual displays. You can still put’em in the soup if needed, but accurately simulating VFR flights opens up a huge range of uses for the LD. Let a student practice turns-around-a-point or show them the highway they’ll pass over on their long cross-country. With a world-wide terrain database to support the 200° visuals, the LD lets your customers experience the view from the cockpit before they ever leave the ground. Gone are the days when every aircraft in the fleet had the same avionics package. 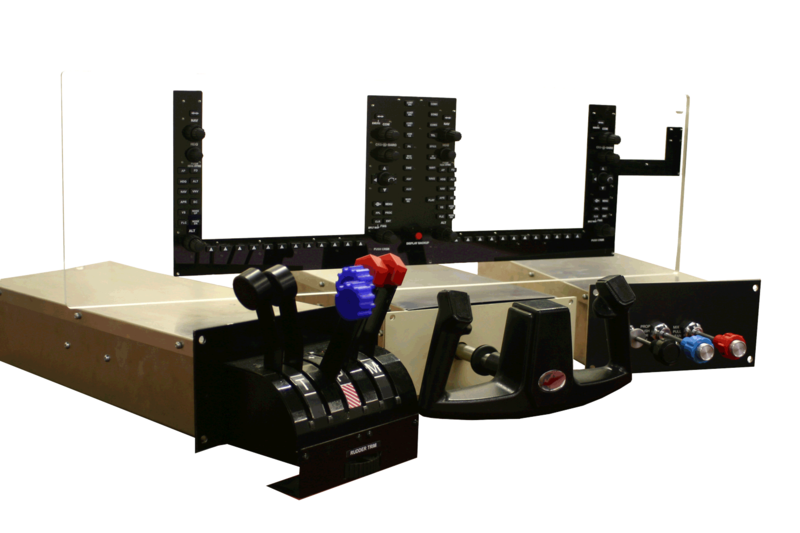 Wouldn’t it be nice if you could offer a simulator for every type and panel in your fleet without needing to spend a few hundred thousand dollars? We thought so too, that’s why we designed our innovative, quick-change aircraft configuration system. 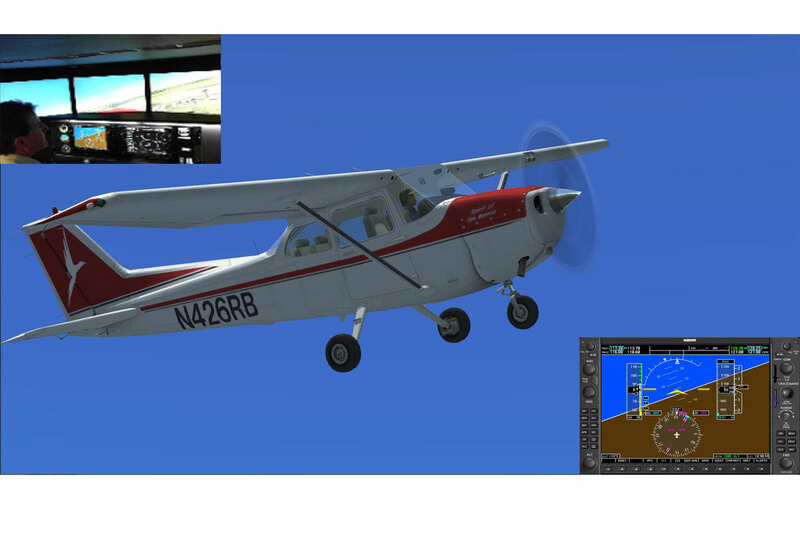 In less than 10 minutes, your instructors can switch the LD from a 172 with analog gauges to a SR22 Perspective to a Baron 58 with a 430/530, or any of the 30+ aircraft configurations we offer. From the latest in glass panel technology to the old 6-pack and lots of GPS/Radio stacks in between, the LD can meet just about any need. We are firm believers in simulation-centric training and we know the value of the LD far outpaces the loggable hours, at the end of the day, we all want credit for our work. That’s why we made sure the LD can be certified in just about any country. 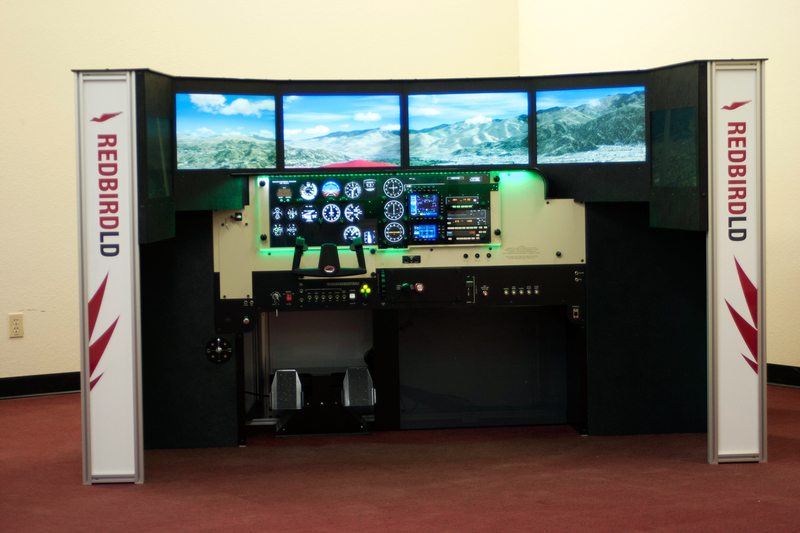 The FAA has approved it as an Advanced Aviation Training Device, it meets the requirements for EASA FNTP qualification, and many other authorities recognize the value of training in the LD. Want more details about certification? We’ve got you covered. 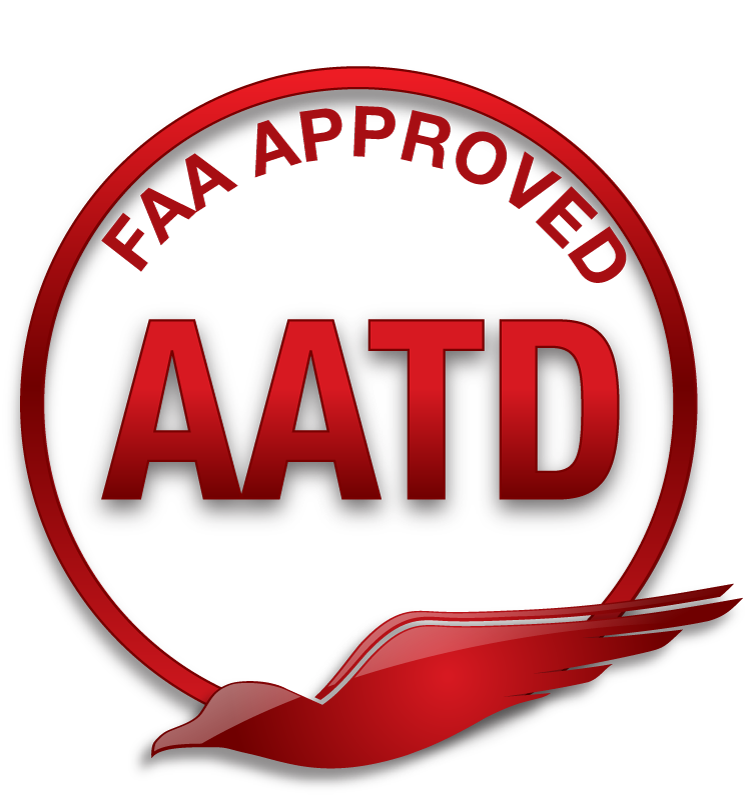 Read more about FAA approval, EASA qualification or certification in other countries. Service and support after the initial warranty expires is available for an additional charge. Read more about our Service Agreements. After your one year warranty expires you have the option to choose one of two Service Agreement levels for the next 12 months. All Service Agreements are billed quarterly based on your actual usage with a maximum of 1,400 hours a year. Customers may enter into a Redbird Service Agreement up to 90 days after expiration of the Warranty or an existing Service Agreement. After that time, customers wishing to purchase a Service Agreement will be required to undergo a recertification process and pay for an on-site inspection, replacement parts and travel expenses to bring the product configuration up to current standards. The minimum charge for a recertification will be $1,000 per system plus the actual cost of repairs, travel/lodging, etc. Read more about GIFT here. Whether you’re a student pilot or instructor, Insight provides valuable information to enhance the flight instruction process. 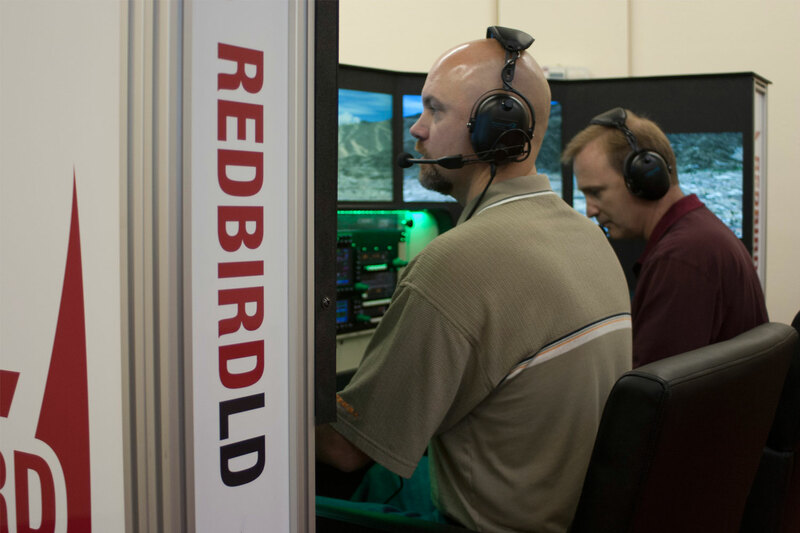 With Redbird Insight, an instructor can monitor a training session from outside the simulator. 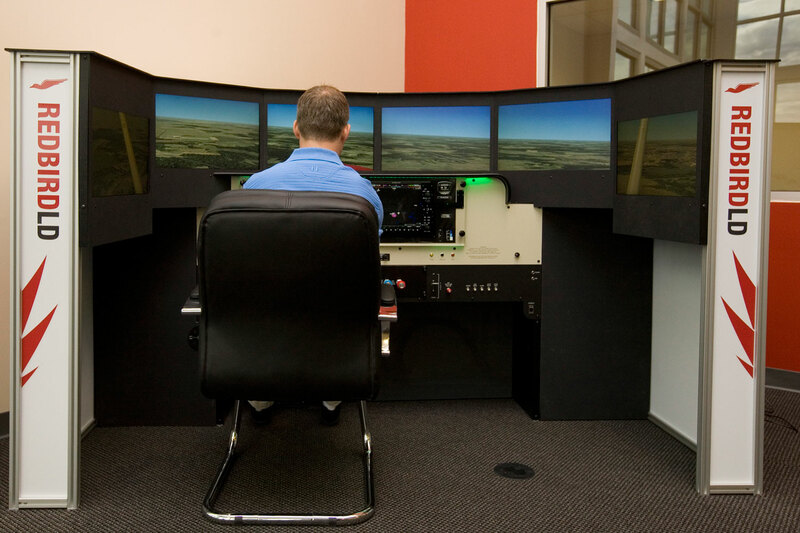 They can view the flight from a variety of angles, both inside and outside the aircraft and record the flight for playback during a debriefing session. 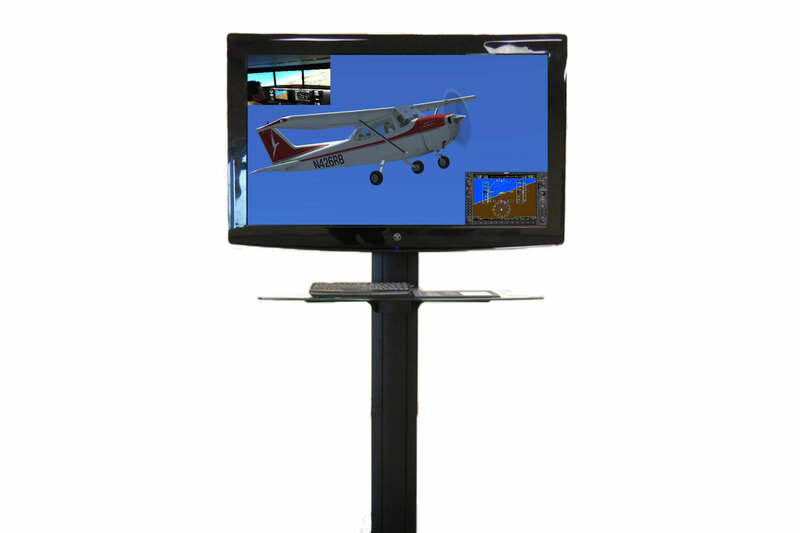 Insight integrates with the Redbird line of flight simulators to render the outside view of the aircraft, a live video feed from the inside view of the cockpit and cockpit instrumentation onto an external display. 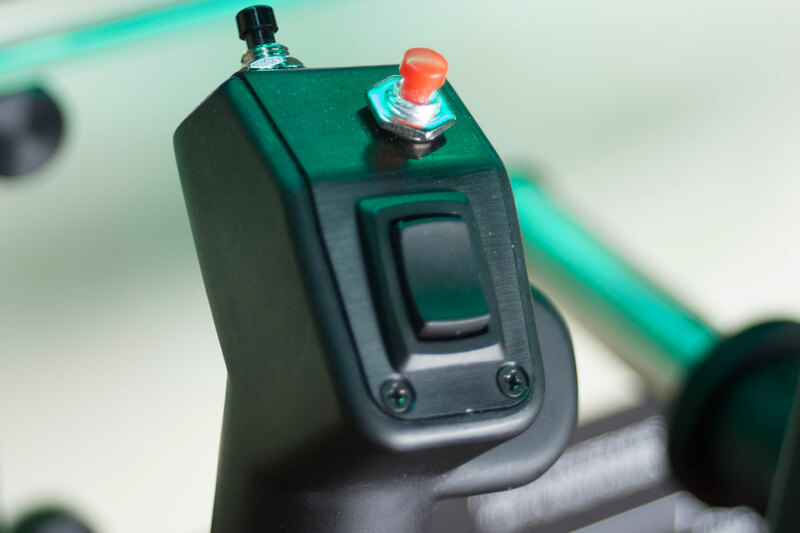 Key aspects of the flight can be immediately reviewed on the Insight screen after a flight is completed by using DVR-like controls on the Insight viewing station. Exterior Shell 3-sided, aluminum enclosure. 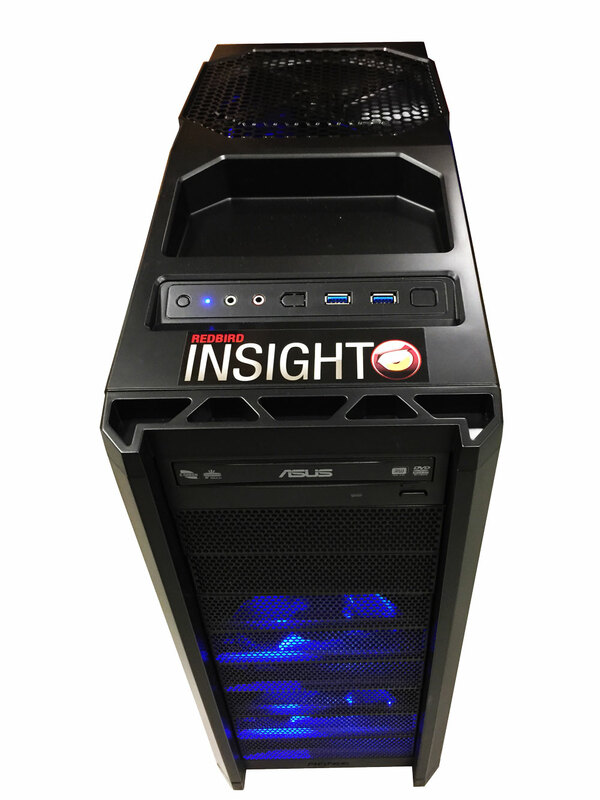 Visual System 200°, wrap-around visuals with world-wide terrain database. 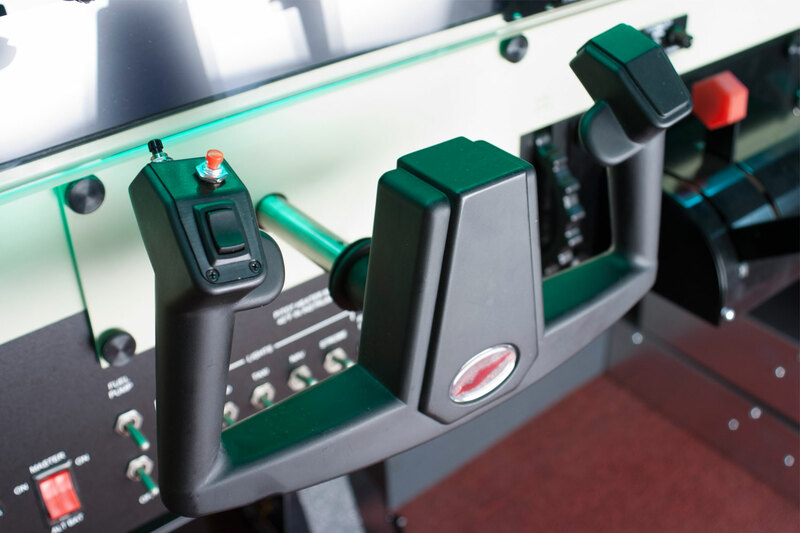 Primary Flight Control Single yoke/center stick/side stick with optional Control Loading system. Interchangeable depending on aircraft configuration. 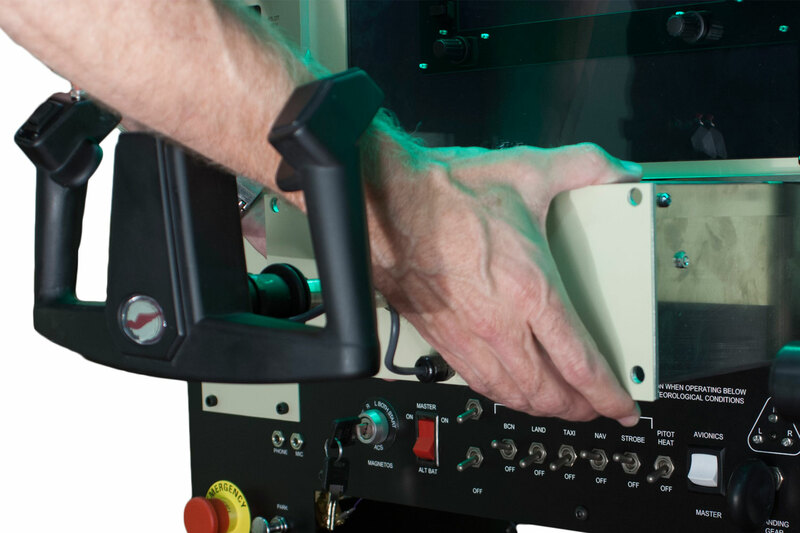 Avionics Panel Controls for flight instruments, GPS(s), radio(s), and autopilot as appropriate to aircraft being simulated. 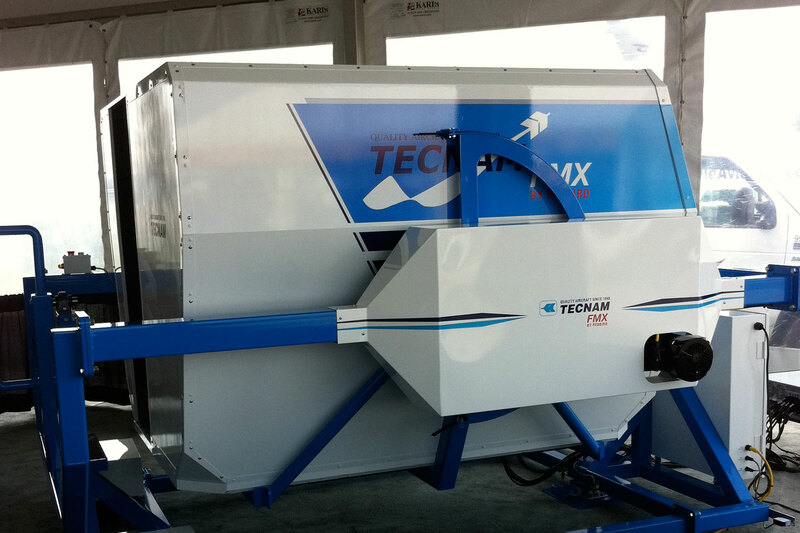 Interchangeable depending on aircraft configuration. Room Size At least 9.5' x 5'.